The interests of Tony Sarg were as diversified as his background. Sarg was born in Guatemala, and sent to school in Germany. With no formal art training, he did his first professional work in London for The Sketch magazine and also did advertising drawings. In London, he became fascinated with marionette performances by the great Holden, and for months followed the troupe on their tour to learn the secrets of the craft. When Sarg came to America in 1914, he successfully organized his own marionette workshop, and also experimented with early animated cartoons. Among Sarg’s first illustration assignments was one for Irvin Cobb’s “Speaking of Operations” in The Saturday Evening Post. The humor of his drawings matched Cobb’s delightfully. 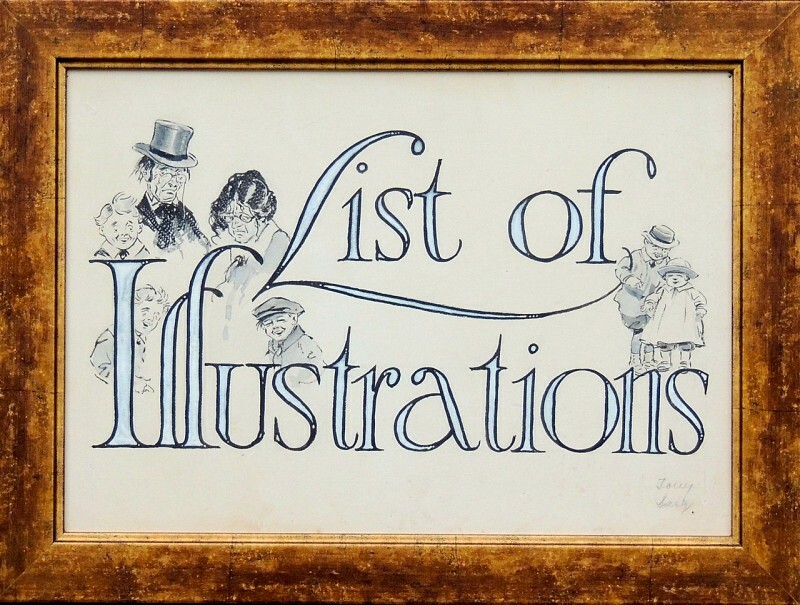 He eventually illustrated for a great number of publications and advertisers. Sarg also wrote and illustrated several books for children, and he designed textiles, wallpapers, boxes, rugs, glass and pottery. As a result of his interest for puppets, Sarg created toys and invented the monster balloons for the annual Macy’s parades on Thanksgiving Day in New York City.